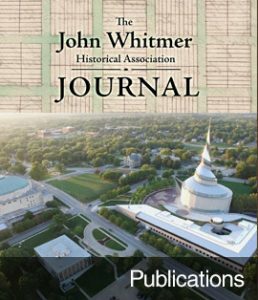 JWHA.info | JWHA is an independent, scholarly society composed of individuals of various religious faiths who share a lively interest in the history of the Restoration Movement. 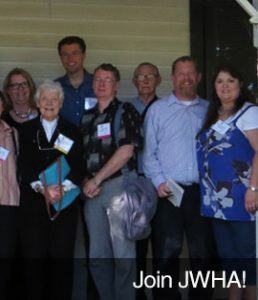 JWHA is an independent, scholarly society composed of individuals of various religious faiths who share a lively interest in the history of the Restoration Movement. With faithful financial contributions over the years, JWHA has been able to further the independent scholarly interest in the history of Community of Christ and the Restoration Movement. Our supporters play a key role in our success. Help JWHA receive a donation of 0.5% of the price of your eligible holiday purchases on Amazon. AmazonSmile is the same products and same prices as Amazon.com. Share your legacy! 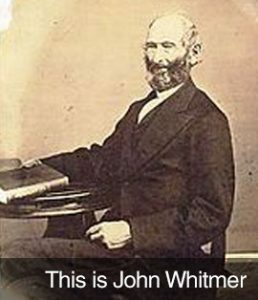 When you set up your estate and financial plan, ask your advisor to include John Whitmer Historical Association as one of your beneficiaries. JWHA is continually inspired by the dedication and generosity of our donors like you who support our mission.